Our New York Personal Injury Law Firm is pleased to announce that our partner Howard Hershenhorn succeeded in resolving the Bob Simon wrongful death case on behalf of his widow Francoise Anne-Marie Simon against the defendant Skyline Credit Ride Limousine. The amount is confidential. The CBS “60 minutes” correspondent died in a car accident in February, 2015 after his limo driver lost control of his vehicle on the West Side Highway. Howard told the New York Post: “The family is relieved that this portion of the case is behind them”. 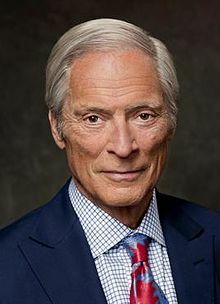 On February 11 2015 around 7 pm, Bob Simon was on his way to a conference downtown. He was riding a Skyline Credit Ride Limousine driven by Reshad Abdul Fedahi, a 44-year-old limo driver. Fedahi was speeding down the West Side Highway when he side-swiped a Mercedes-Benz, lost control of his car and hit a metal post. The impact was so strong that the car was completely destroyed. Rescuers pried open the roof to extract the occupants. Simon was found unresponsive with head and stomach injuries. He was rushed to the hospital. Prior to the fatal accident, Skyline Credit Ride Limousine fired Fedahi after several client complaints but re-hired him after a management change in October, 2014. At the time he had two moving violations on his regular drivers license: one for speeding and one for “disobeying a traffic device. He he also had his license suspended 9 times in the past. Additionally Fedahi lost the use of his left arm after a previous suicide attempt during which he jumped from a building in Brooklyn. The company shouldn’t have re-hired him. Our firm is still aggressively pursuing claims on behalf of Bob Simon’s widow, Francoise Anne-Marie Simon, against Reshad Abdu Fedahi and Zachary Miller, the driver of the Mercedes.